Below we address some of the questions we hear from students preparing for their IGCSEs. I’m only 16 – why are these exams important? I have lots of time until the exams – why should I start now? I’m predicted a B/C but am aiming for an A/A* – what can I do? How can I be expected to learn and remember everything? What should I do if there are topics that I don’t understand? How can I best use the free time on my weekends and in my holidays? 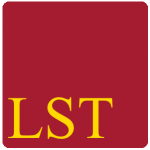 How can I use LST Resources to help me?